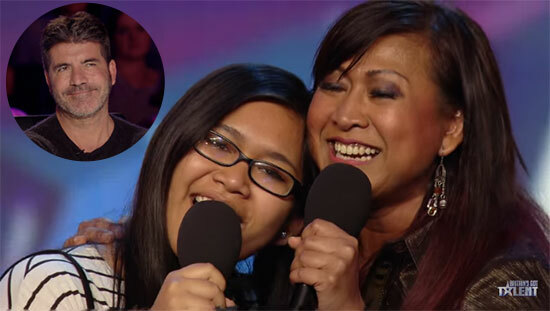 In 10 seasons that the show has aired the judges have seen thousands of performers and heard thousands of stories but somehow, after all those years this mother-daughter duo managed to move them to tears. They have only recently started singing together but after watching their audition I’m sure they’ll sing for many many years. Meet Ana and Fia. They chose to perform Barbra Streisand’s “Tell Him” – a song that has special meaning for Ana after getting out of an abusive relationship, but the voices, it’s their voices that made this so amazing. It’s impossible to watch this and not get moved by it. "Even Simon Can’t Stop Smiling!" Watch the emotional duet after the click.